[B]Our Preference[/B]: Sell below 1.1400 for the target of 1.1330 levels. 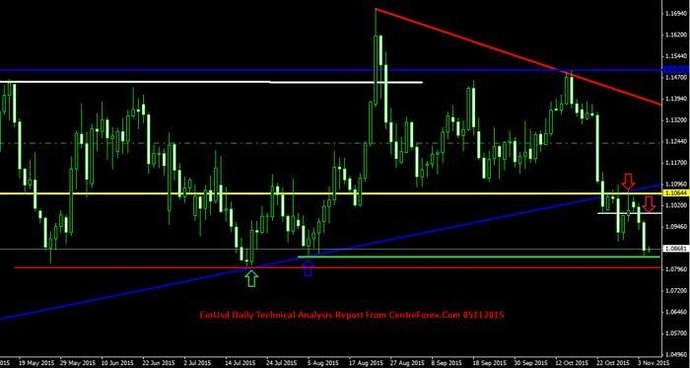 [B]Technical Commentary[/B]: In Weekly chart :- EurUsd was broken the long term triangle pattern on upper and EurUsd was trading near key support level and last week EurUsd was closed on lower side as bearish candle,so further this week we can except on selling side:- which we have shown in attached image. [B]In Daily chart [/B]:- After Testing the new upper trend line the EurUsd was closed on lower side with bearish candle and closed below the key resistance level so we can sell near key resistance levels:- which we have shown in attached image. [B]In 4 Hour chart[/B] :- EurUsd was trading in the triangle pattern and now its was trading below key resistance level 1.1400 so further we can except upto next key support level :- which we have shown in attached image. 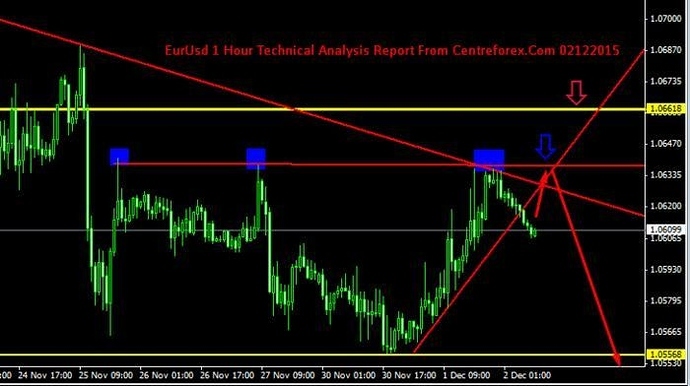 [B]In 1 Hour Chart :[/B]- EurUsd was the trading in the triangle pattern and now its trading near upper trend line so we can sell near upper trend line :- which we have shown in attached image. [B]Our Preference:[/B] Sell below 1.1080 for the target of 1.1000 levels. 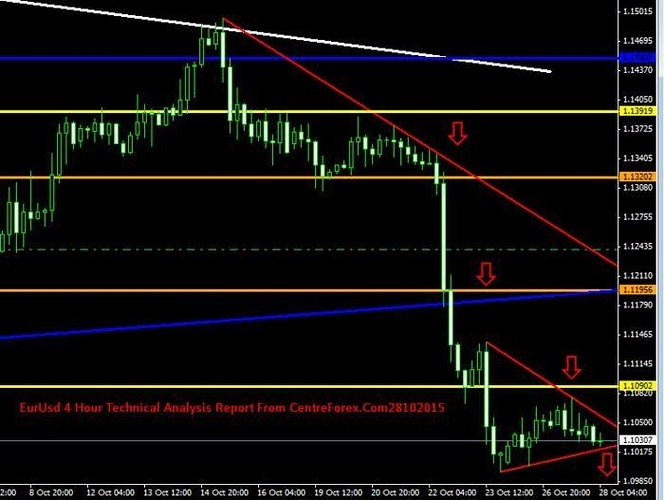 [B]Technical Commentary:[/B] In Daily chart :- EurUsd was broken the lower trend line and now below the lower trend line and the lower trend line acting as the key resistance level and EurUsd was broken the key support level of horizontal line and now its trading below the key support level,so its confirming for the selling side and we can except upto next key [B]support level :[/B]- which we have shown in attached image. 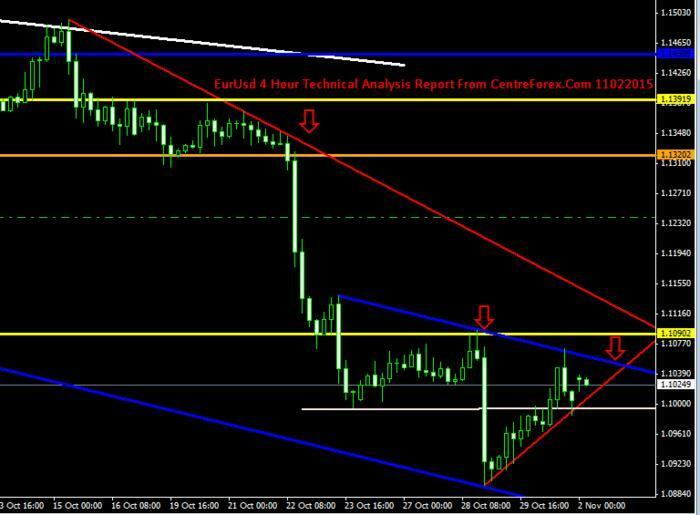 [B]In 4 Hour chart [/B]:- EurUsd was trading below the key resistance 1.1100 level of horizontal line already its trading below lower trend line of the triangle pattern so we can except sell near resistance level upto next key support level 1.1220 levels :- which we have shown in attached image. [B]In 1 hour chart [/B]:- EurUsd was the trading below the key resistance level of horizontal line, so we can sell near key resistance level 1.1080:- which we have shown in attached image. 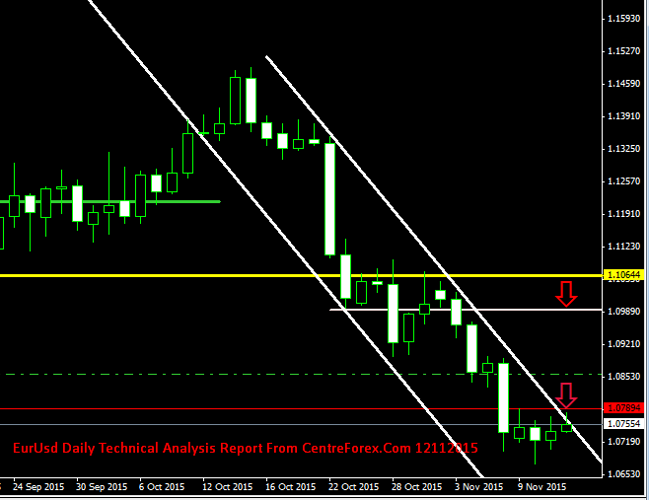 [B]Our Preference:[/B] Sell below 1.1070 for the target of 1.1980 levels. support level :- which we have shown in attached image. levels:- which we have shown in attached image. 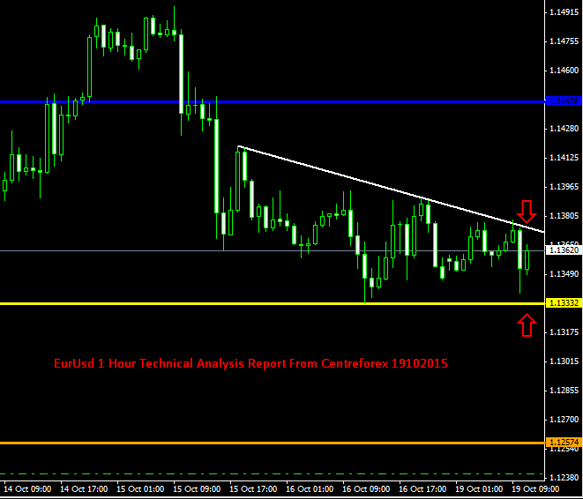 can sell near key resistance level 1.1070:- which we have shown in attached image. Our Preference: Sell below 1.1000 for the target of 1.0980 levels. Technical Commentary: In Daily chart :- After testing the key resistance level EurUsd was bonzed back to selling zone and yesterday it was closed on lower side so its confirming for the selling side and we can except upto next key support level :- which we have shown in attached image. 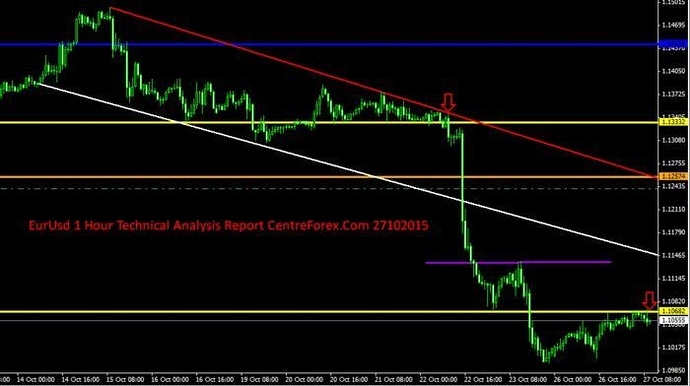 In 4 Hour chart :- EurUsd was trading in the equidistant channel line and its broken the key support level so we can sell near intraday resistance level and we can except upto next key support levels:- which we have shown in attached image. In 1 hour chart :- EurUsd was the trading below the key resistance level of horizontal line, so we can sell near key resistance level 1.1000:- which we have shown in attached image. [B]Our Preference:[/B] Sell below 1.1100 for the target of 1.0960 levels. 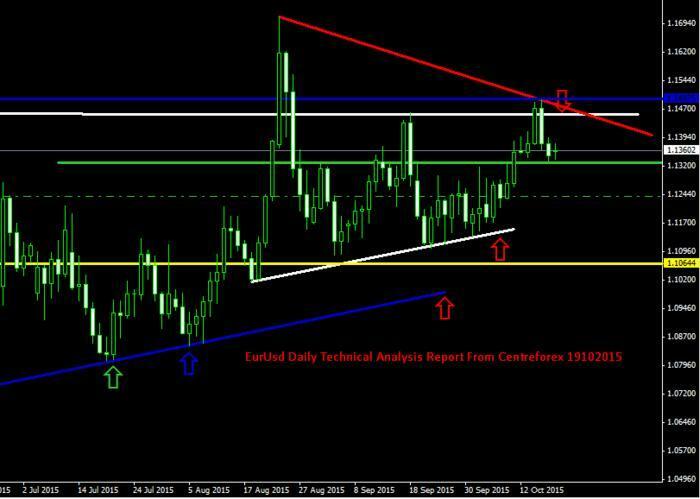 [B]Technical Commentary: In Weekly Chart [/B]:- Last week EurUsd was closed like doji pattern on lower side and EurUsd was the trading below the lower trend line and key resistance level so we except on selling side from key resistance level 1.1100 : which we have shown in attached image. [B]In Daily chart [/B]:- Last 5 days EurUsd was closed below the key resistance level 1.1100 and its trading below the lower trend line so its confirming for selling side If we got candle closing above the key resistance 1.1100 level means we can go head on buying side :- which we have shown in attached image. 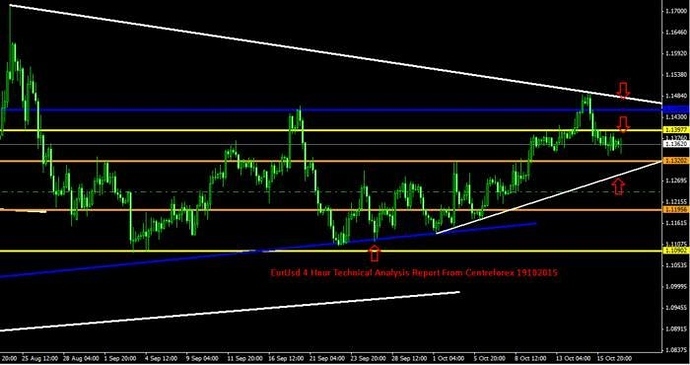 [B]In 4 Hour chart :[/B]- EurUsd was trading in the equidistant channel line and trading below the key support 1.1100 level and now its trading in the triangle pattern so we can sell near upper trend line :- which we have shown in attached image. [B]In 1 hour chart :[/B]- EurUsd was the trading in the triangle pattern and its trading below the key resistance 1.1070 level of horizontal line, so we can sell near key resistance level :- which we have shown in attached image. [B]Our Preference:[/B] Sell below 1.1080 for the target of 1.0920 levels. which we have shown in attached image. have shown in attached image. [B]Our Preference[/B]: Sell below 1.0980 for the target of 1.0900 levels. 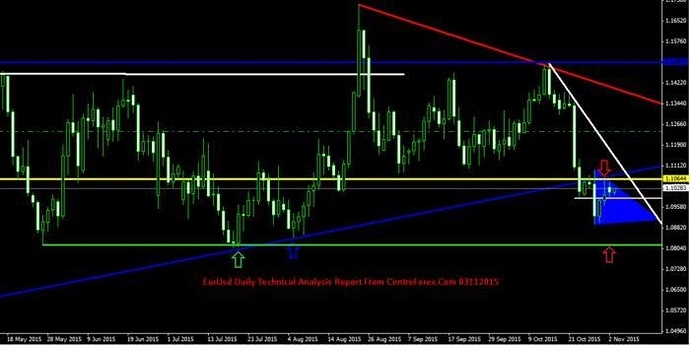 [B]Technical Commentary: In Daily chart :[/B]- Yesterday EurUsd was closed on lower side with bearish candle and its closed below the resistance level and now its trading in the triangle pattern so its confirming for selling side upto next key support level :- which we have shown in attached image. [B]In 4 Hour chart :[/B]- EurUsd was trading in the equidistant channel line and its trading below the resistance level of horizontal level so we can sell near intraday resistance level :- which we have shown in attached image. [B]In 1 hour chart :[/B]- EurUsd was the trading below the upper trend line and trading below the resistance levels so we can go on selling side :- which we have shown in attached image. [B]Our Preference:[/B] Sell below 1.0900 for the target of 1.0800 levels. [B]Technical Commentary: In Daily chart :[/B]- Yesterday EurUsd was closed below last 3 months low and its closed on lower side with bearish candle and its testing previous support level so its confirming for selling side upto next key support level :- which we have shown in attached image. [B]In 4 Hour chart :[/B]- EurUsd was trading in the equidistant channel line and its trading below the resistance level of horizontal level so we can except upto lower channel line :- which we have shown in attached image. [B]In 1 hour chart[/B] :- EurUsd was the trading below the upper trend line so we can sell near upper trend line :- which we have shown in attached image. [B]Our Preference[/B]: Sell below 1.0800 for the target of 1.0650 levels. [B]Alternative Scenario[/B]: Buy Above 1.0700 for the target of 1.0800 levels. 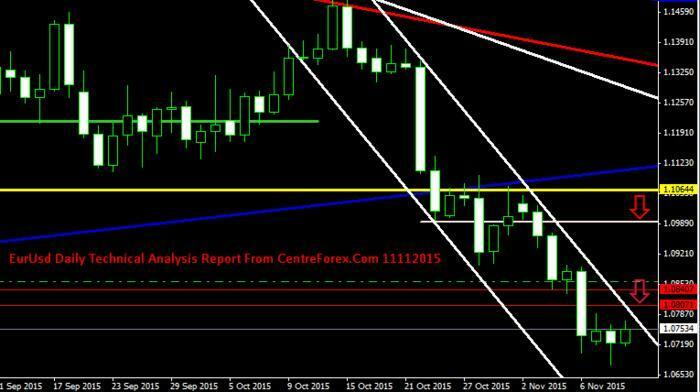 [B]In Daily chart [/B]:- EurUsd was trading in the Equidistant channel lines and its trading below the key support1.0810 levels and Yesterday EurUsd was closed on higher side as bullish candle so today we can except some correction upto next resistance level 1.0800 level :- which we have shown in attached image. [B]In 4 Hour chart :[/B]- EurUsd was trading in the equidistant channel line and its trading near upper channel line and its trading below the resistance level of horizontal level so we can except upto next support leves :- which we have shown in attached image. [B]In 1 hour chart [/B]:- EurUsd was the trading near upper trend line so we can sell near upper trend line :- which we have shown in attached image. Our Preference: Sell below 1.0780 for the target of 1.0680 levels. 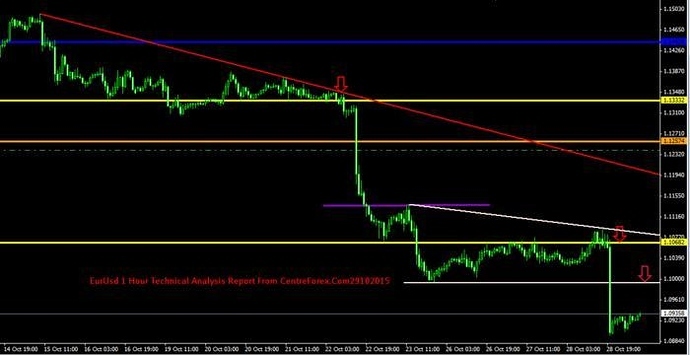 Technical Commentary: In Daily chart :- EurUsd was trading in the Equidistant channel lines and its trading below the key support1.0800 levels and its trading near upper channel lines so today we can except on selling side n upto next support level :- which we have shown in attached image. In 4 Hour chart :- EurUsd was trading in the equidistant channel lines and its trading near key resistance horizontal line so we can except upto next support leves :- which we have shown in attached image. 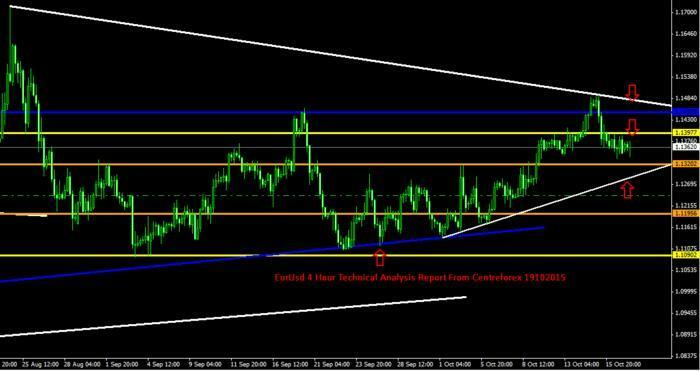 In 1 hour chart :- EurUsd was the trading near upper trend line so we can sell near upper trend line :- which we have shown in attached image. 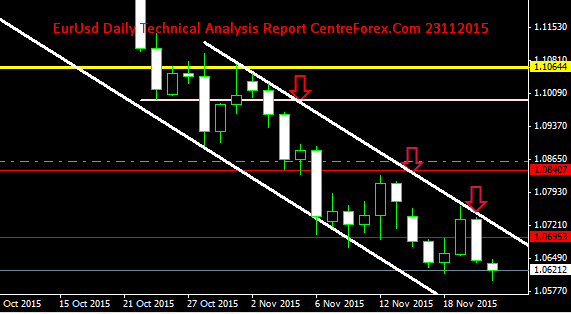 Our Preference: Sell below 1.0780 for the target of 1.0650 levels. Technical Commentary: In Weekly Chart :- Last week EurUsd was closed as bullish candle but it was closed below the key resistance level of horizontal line so still its confirming for the selling side so we sell near resistance level :- which we have shown in attached image. In Daily chart :- Last Friday EurUsd was closed on higher side but today morning it was gap opened on lower side and its was trading in the Equidistant channel lines and its trading below the key support1.0800 levels so today we can except on selling side upto next support level :- which we have shown in attached image. 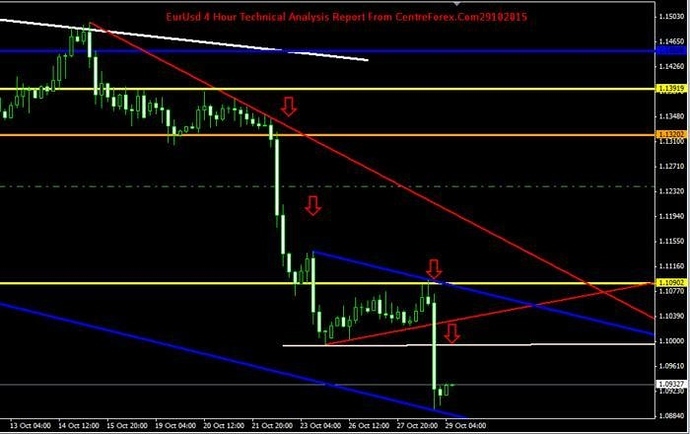 In 4 Hour chart :- EurUsd was trading in the equidistant channel lines and its trading in the triangle pattern and its trading near lower trend line If lower trend line breaks means we can except on selling side and its trading below key resistance horizontal line so we can except upto next support leves :- which we have shown in attached image. 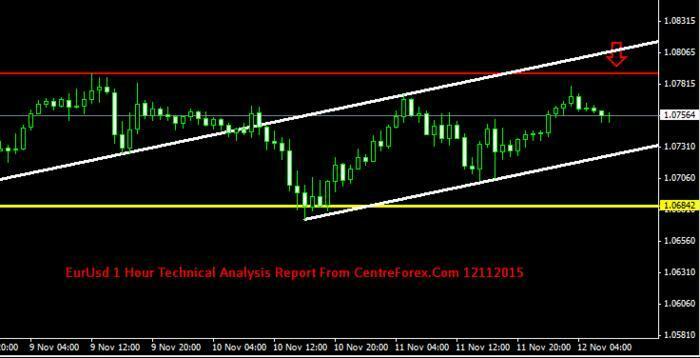 In 1 hour chart :- EurUsd was the trading in the equidistant channel lines and its trading in the range bound pattern between key resistance level and key support level so if lower channel line breaks means we can except further on selling side so we can sell near intraday resistance level :- which we have shown in attached image. [B]Our Preference[/B]: Sell below 1.0690 for the target of 1.0620 levels. 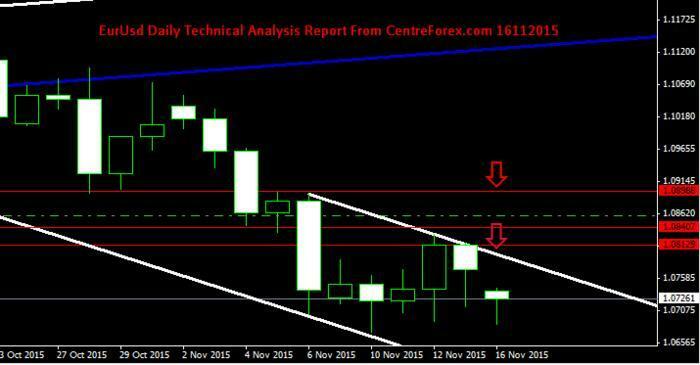 [B]Technical Commentary: In Daily chart :[/B]- Yesterday EurUsd was closed on lower side with bearish candle and its testing april 2015 month low and its was trading in the Equidistant channel lines and its trading near last week low, If last week low breaks means we can except upto next support levels :- which we have shown in attached image. [B]In 4 Hour chart and In 1 hour chart [/B]:- EurUsd was broken the triangle pattern on lower side and EurUsd was broken key support level and we got closing below key support level of horizontal line and its trading in the equidistant channel lines so we can except some new low:- which we have shown in attached image. [B]Our Preference[/B]: Sell below 1.0670 for the target of 1.0620 levels. [B]Technical Commentary: [/B]In Daily chart :- EurUsd was trading in the Equidistant channel lines and its closed below the key support level on horizontal line so its conforming for the selling side:- which we have shown in attached image. 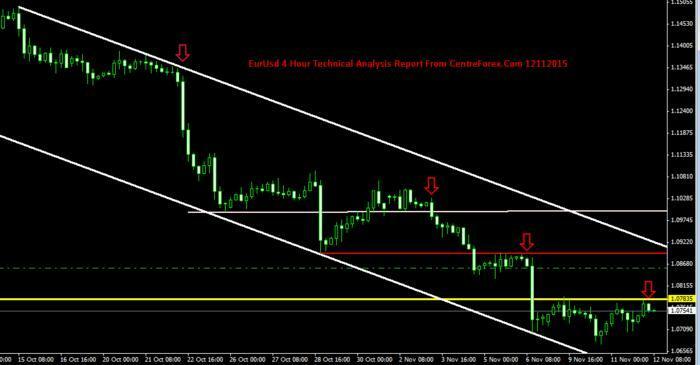 [B]In 4 Hour chart :[/B]- EurUsd was trading in the equidistant channel lines and its closed below the key support level and we got closing below key support level of horizontal line so we can except on selling side :- which we have shown in attached image. 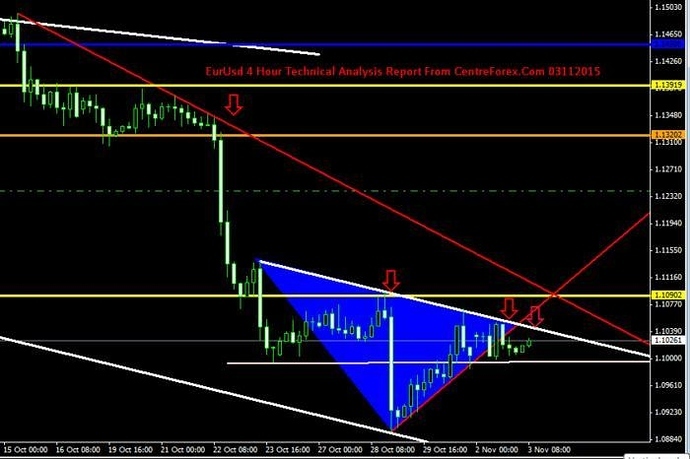 [B]In 1 hour chart :[/B]- Eur/Usd was broken the triangle pattern on upper side but its trading below the key resistance level of horizontal line, If key resistance level breaks means we can go for buy off otherwise we can go with selling side :- which we have shown in attached image. [B]Our Preference:[/B] Sell below 1.0730 for the target of 1.0640 levels. we have shown in attached image. 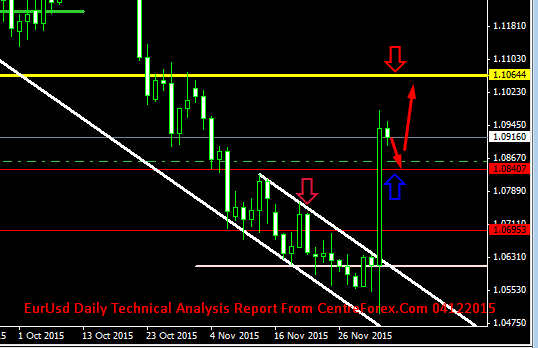 trend line so we can except on sell from here :- which we have shown in attached image. line so we can go head on selling side :- which we have shown in attached image. [B]Our Preference:[/B] Sell below 1.0730 for the target of 1.0620 levels. [B]Technical Commentary[/B]: In Weekly Chart :- After testing the key resistance its came back and its closed on lower side with bearish candle and its trading below the key resistance level so its confirming for the selling side :- which we have shown in attached image. 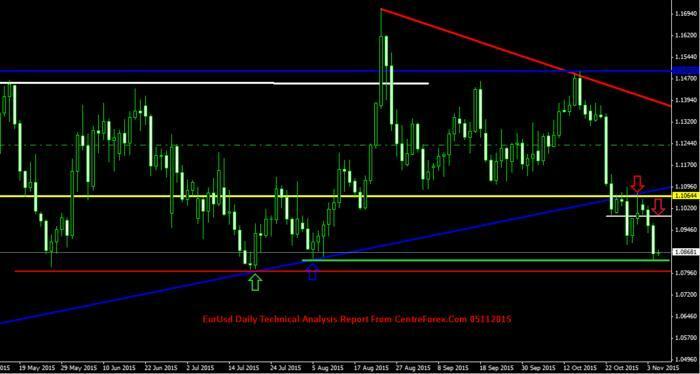 [B] In Daily chart :-[/B] EurUsd was trading in the Equidistant channel lines and yesterday its closed on lower side with bearish candle and its trading below the key resistance level on horizontal line so we can sell near resistance level of horizontal line :- which we have shown in attached image. [B]In 4 Hour chart :[/B]- EurUsd was trading in the equidistant channel lines and its trading below the resistance level of horizontal line so we can sell near resistance level and except except upto next support levels :- which we have shown in attached image. [B]In 1 hour chart :[/B]- Eur/Usd was trading below the upper trend line and its trading below the key resistance level of horizontal line, so we can go head on selling side near intraday resistance levels :- which we have shown in attached image. [B]Our Preference: [/B]Sell below 1.0730 for the target of 1.0620 levels. [B]Alternative Scenario:[/B] Buy above 1.0620 for the target of 1.0720 levels. [B]Technical Commentary:[/B] In Daily chart :- EurUsd was trading in the Equidistant channel lines and last week low now acting as key support level and yesterday its closed like doji pattern so today we can except correction upto upper channel line of equidistant channel 1.0700 levels:- which we have shown in attached image. 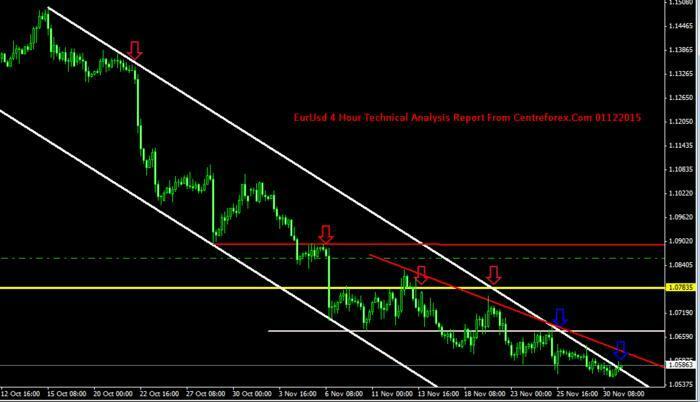 [B]In 4 Hour chart [/B]:- EurUsd was trading in the equidistant channel lines and its trading below the resistance level of horizontal line so we can sell near resistance 1.0680 level and except upto next support levels :- which we have shown in attached image. [B]Our Preference[/B]: Sell below 1.0600for the target of 1.0530 levels. [B]Technical Commentary[/B]: In Weekly Chart :- EurUsd was the trading in the equidistant channel lines and EurUsd was trading near march month low and last two weeks its closed as bearish candle so we can sell near upper trend line and we can except on selling side :- which we have shown in attached image. 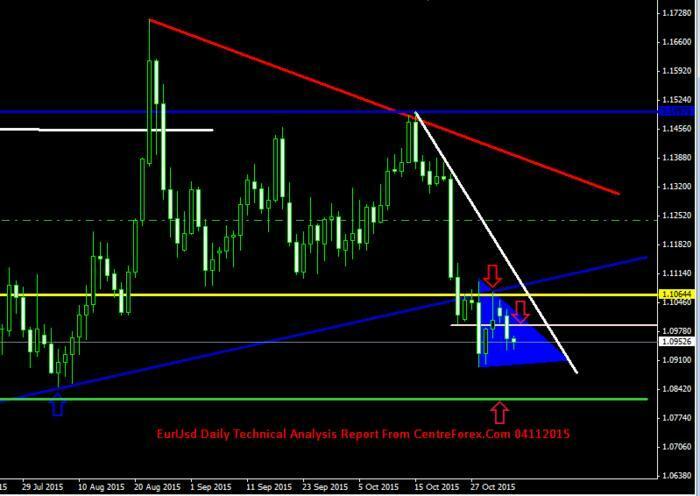 [B] In Daily chart :[/B]- EurUsd was trading in the Equidistant channel lines and yesterday its closed on lower side with bearish candle and its trading below the key resistance level on horizontal line so we can sell near resistance level of horizontal line :- which we have shown in attached image. 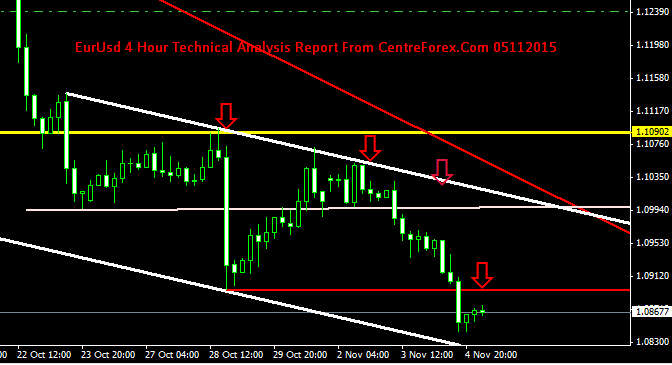 [B]In 4 Hour chart [/B]:- EurUsd was trading in the equidistant channel lines and its trading below the resistance level of horizontal line so we can sell near upper trend line and except except upto next support levels :- which we have shown in attached image. [B]In 1 hour chart :[/B]- Eur/Usd was trading in the triangle pattern and its trading near upper trend line so we can go head on selling side near upper trend line :- which we have shown in attached image. [B]Our Preference:[/B] Sell below 1.0660 for the target of 1.0560 levels. [B]Our Preference[/B]: Sell below 1.0620 for the target of 1.0560 levels. level so today we can except on selling side :- which we have shown in attached image. support levels :- which we have shown in attached image. [B]Our Preference[/B]: Buy above 1.0830 for the target of 1.1000 levels. level so we can except upto next key resistance levels :- which we have shown in attached image.